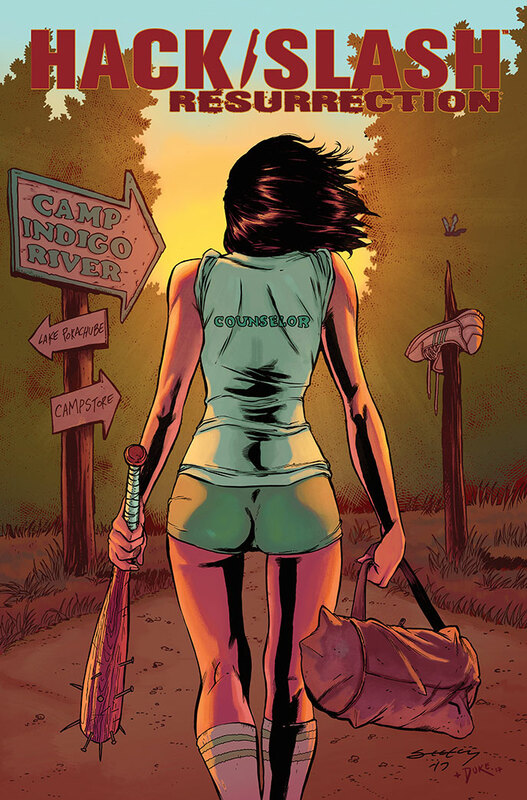 New creative team takes the reigns on the next chapter of Cassie Hack’s story. 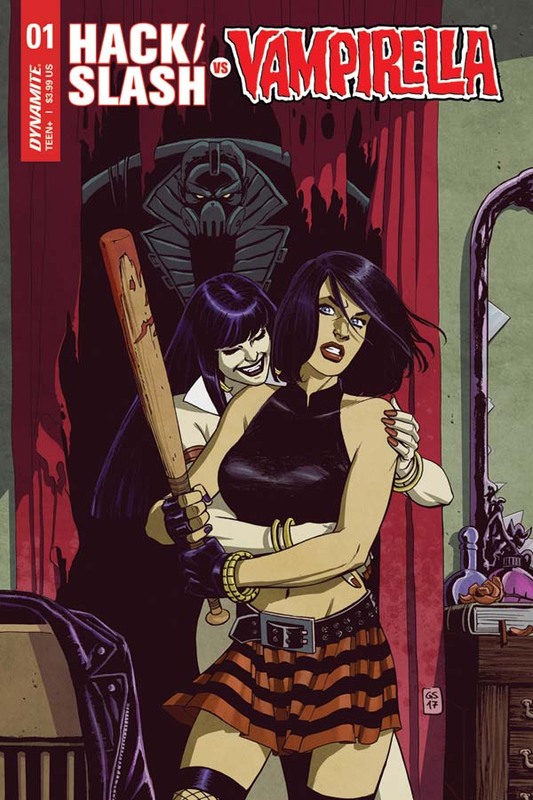 Cassie Hack, the star of Hack/Slash comics, is coming back swinging in a big way, as Image Comics announces a new series and Dynamite Entertainment announces a crossover with Vampirella. 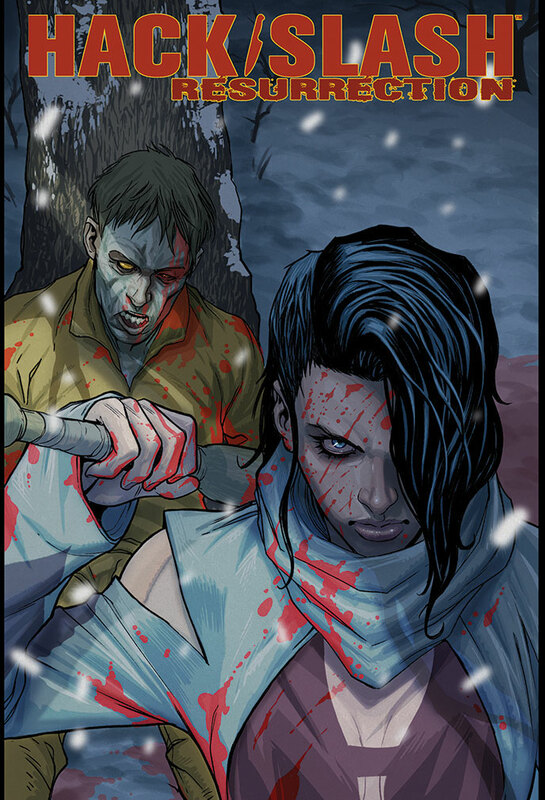 The new series arrives at the end of October — shortly after Hack/Slash vs. Vampirella. 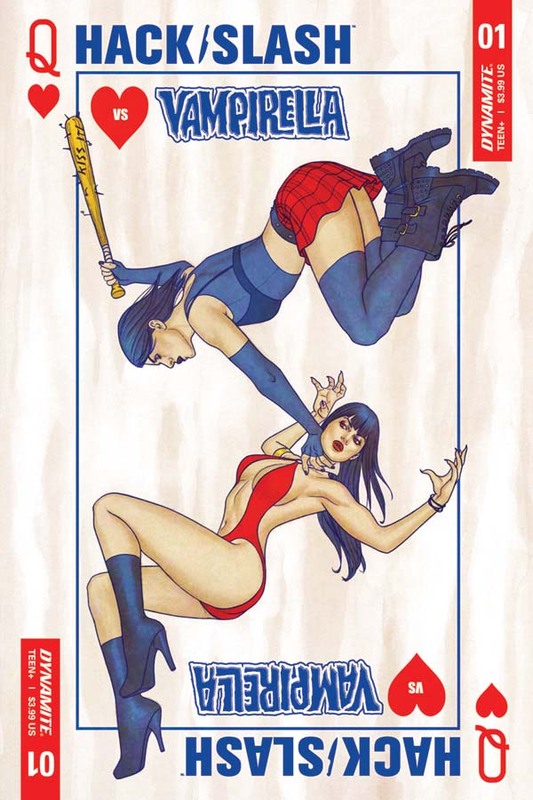 The crossover finds Cassie and her protector, Vlad, on the trail of a killer in Las Vegas, where they meet Vampirella and take on The Queen of Hearts. Shawn Aldridge and Rapha Lobosco have been tapped as the creative team. Hack/Slash vs. Vampirella is scheduled to arrive Oct. 4, while Hack/Slash: Resurrection #1 arrives Oct. 25.